Okay, I know, I know. I've been absent again!! It happens with 3 kiddos, plus 3 and a hubby and a dog and a cat!! I was doing one of my favorite things today, building memories. 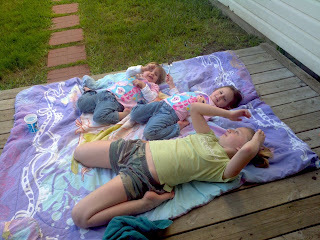 My girls layed on a blanket outback and watched the clouds while I fixed dinner. Then I played waitress and gave them dinner 3 courses at a time. Twin Tip #1 give veggies as first course. Broccolli was all gone before second course came out!! Then there was chicken and noodles. Then caramel delights for dessert! 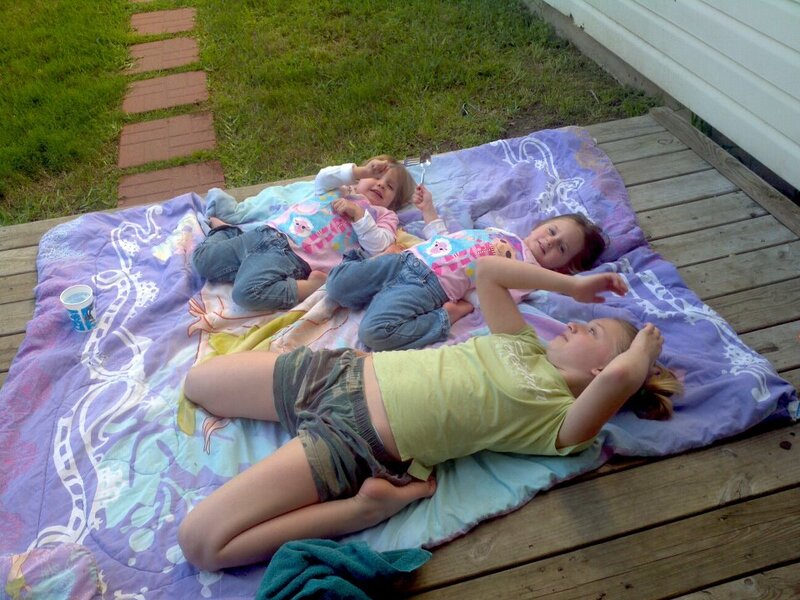 Emily then put the girls to bed. This would be Twin Tip #2, but I can't make having a ten year old a tip, but let me just tell you she rocks! The ten minutes I had to myself while she put the girls to bed were priceless. It got even better, after the girls were in bed, Emily and I listened to music with dual headphones on my computer while she did research for her history project, all on her own!! (yep I didn't have to tell her twice!) And I Facebooked about whether Chuck E Cheese was a rat or a mouse with my 2nd oldest stepdaughter. My life is truely blessed with nights like this! If I can offer any Tips it is to spend as much time with your family!